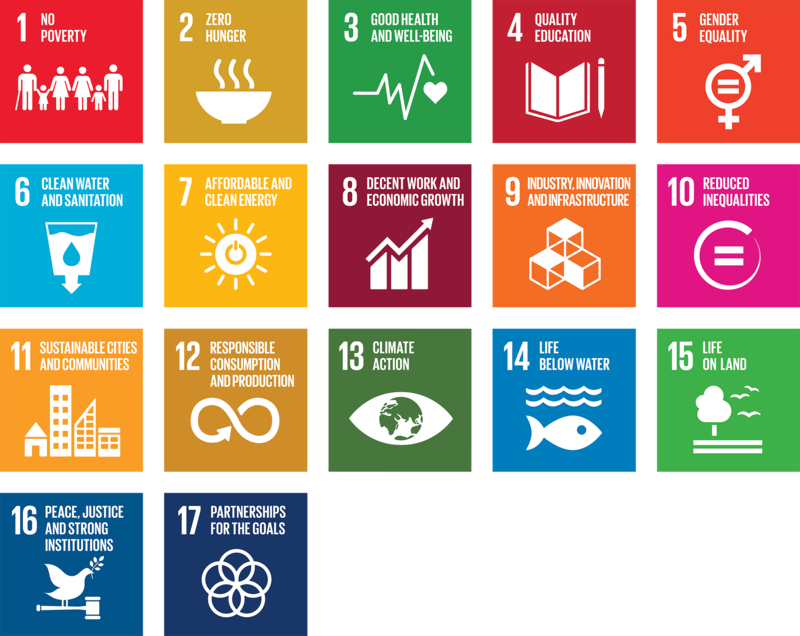 The Oslo Manifesto embraces the UN Sustainable Development Goals as new design criteria for a sustainable world. But it’s far more than a public declaration or another set of design standards. And it’s intended to serve far beyond the deadline of the UN Sustainable Development Goals. The Oslo Manifesto is an embodiment of the movement towards a new, empowered standard of design which compassionately shapes and harmonizes with the systems of the earth, its communities, and the beings that live on it. We hope that the Oslo Manifesto and this website will help you meaningfully translate the Sustainable Development Goals into your everyday work and life, and inspire ‘aha’ moments of insight into how you can act, today, to help the world realize the SDGs and the sustainable future beyond them. Read, sign and share the Oslo Manifesto here. The Oslo Manifesto was born out of a conversation between big dreamers in design and sustainability. It all started in Oslo on November 17, 2015, at the Framtanker (Forward Thinking) conference hosted by The Norwegian Centre for Design and Architecture (DogA). The room was full of designers, R & D managers, and leaders in sustainability, sports, and fashion from around the world. The discussion was about the critical role that design, architecture, and city planning play in the creation of a sustainable world. How can we get more designers to take responsibility and truly realize the difference they can make? The Sustainable Development Goals entered the dialogue. And then a question — What if we could translate the SDGs into something that designers could really get behind? Really make use of? The Oslo Manifesto was drafted. And then we decided to make it real. Have you signed the Oslo Manifesto yet? 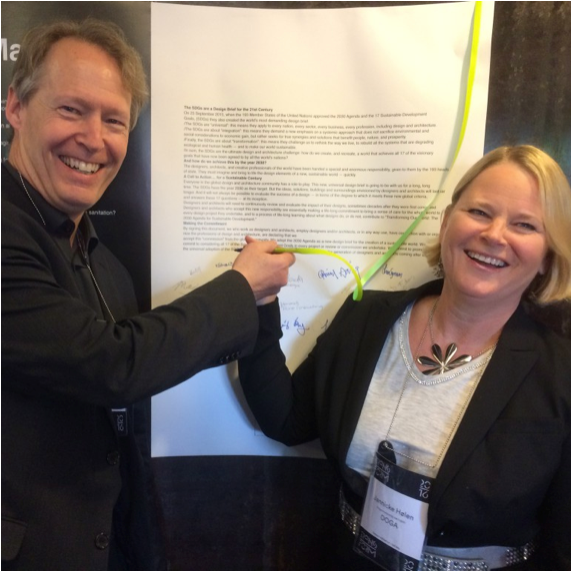 Alan AtKisson from 17goals.org and Jannicke Hølen from DOGA signing the Oslo Manifesto at DOGA’s national Transform conference on April 26, 2016. The Oslo Manifesto (English version) from Norsk design og arkitektursenter on Vimeo. Design and Architecture Norway (DOGA) is a national institution working to promote interdisciplinary cooperation and a deeper understanding of the role design, architecture, and city planning play in forming our communities and urban environments. 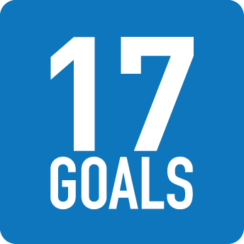 17Goals is an independent global partnership of organizations and experts with the mission is to help everyone, everywhere learn about the SDGs, and equip them with tools and inspiration they need to take action.